Sun Bin: Maps of the 9 "Great Nations"
The "Great Nations" series chose 9 nations. Only nations in the modern world were selected (i.e. after 1500s). This is significant, because, as the narrative said, the year 1500 defines the first time that different disparate parts of the world finally met and compete (and conflict) with each other. Before that, China was the center of its part of the world, so the Chinese empire (and the Roman, Persia, Alexander, Mongolia, Ottoman Empires) did not count. The subtle message is also that, in this new order China should not be thinking about restoring its old hegemony, because that hegemony only extended to a small part of the world, i.e. NE Asia; as a result, the future objective for China is not to dominate the world, but become a major player like (the average of) what (the "three really qualified great nations") Britain, Holland and USA is playing today. Some Chinese commentator complained why the Qing empire was not included in the "Great Nations". 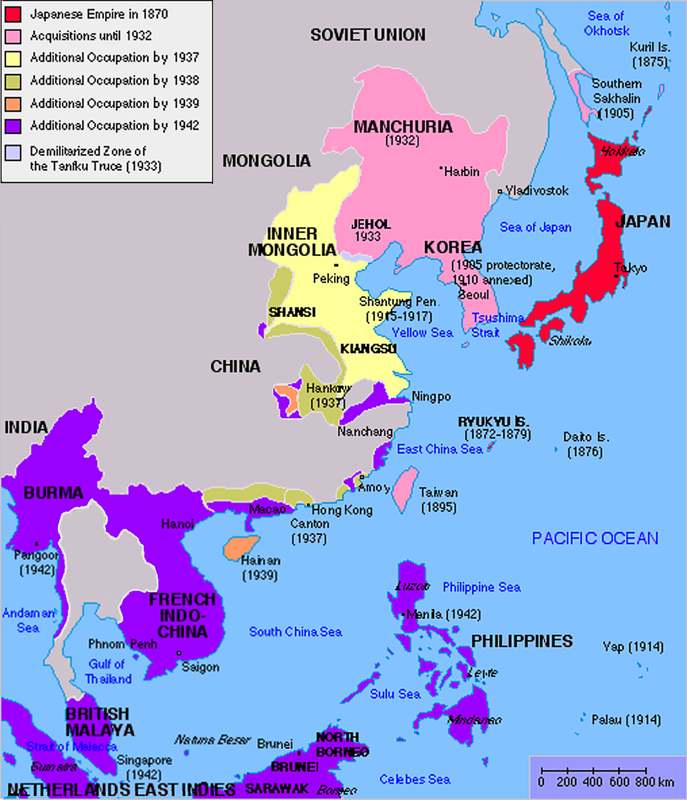 After all, Qing still had over 1/4 of the world's GDP until mid-1800s. Qing was also a very effectively managed empire in terms of direct control. I think the key word is the the term "modern". The series was very adamant in stating that Britain was the FIRST modern nations in the world after Glorious Revolution, and Qing was definitely not a "modern" nation in this sense. The 3 nations preceded Britains all made contact with the whole earth (including Asia and the New World), while Qing was a local empire not different than Han or Persia of 2000 years ago. Here are the extent of these empires at their apogee. 10) Other colonial empires in wiki.